David Bates has in recent years established himself as one of Europe’s most exciting directors of Baroque music and as a figurehead for a new performing generation. Bates’s love of Baroque opera has led him to direct several productions in Europe and the US: Handel’s Xerxes at Iford Arts, Monteverdi’s L’Orfeo at Kings Place, Cesti’s L’Orontea at the Innsbrucker Festwochen, Cavalli’s La Calisto at Cincinnati Opera, Gluck’s Iphigénie en Tauride at the Teatro São Carlos in Lisbon and, most recently, Vivaldi’s Il Farnace at the Spoleto Festival in the US. In concert, he has conducted Handel’s Berenice at the Internationale Händel-Festspiele Göttingen, Purcell’s Dido and Aeneas with Dame Anne Murray in the Brighton International Festival, and Conti’s Issipile at Wigmore Hall, the latter as part of a five-season residence. His recordings for Harmonia Mundi, with his ensemble La Nuova Musica, have garned outstanding reviews and received ‘Le choix de France Musique’ and ‘Editor’s Choice’ by Gramophone Magazine. Orfeo ed Euridice Gluck with Iestyn Davies marks the first recording in a new relationship with Pentatone. The release is due October 2019. 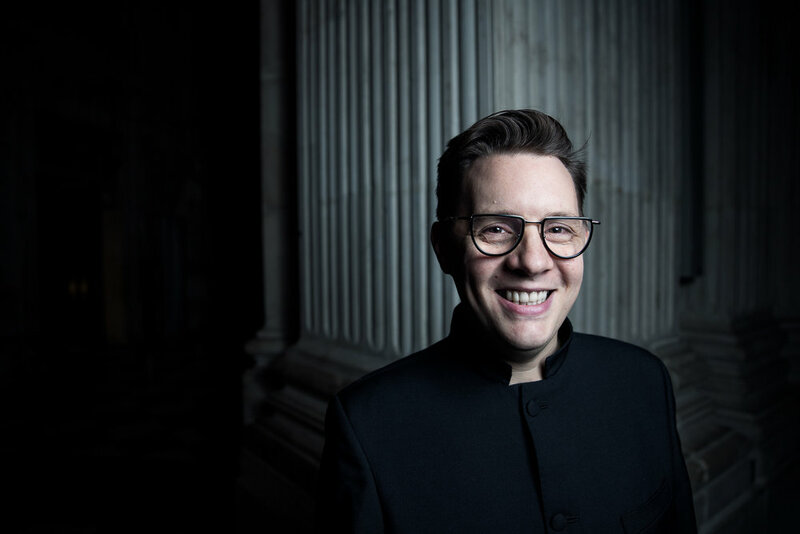 Bates regularly works in France, as musical assistant and chorus master to Emmanuelle Haïm - most recently at Opera de Lille and Opera de Paris - and has directed the chamber choir Accentus on a national tour in a programme of English Romantic choral repertoire. Projects in the season 2019/20 include Handel Rinaldo with Glyndebourne Touring Opera, Handel Messiah with Irish Baroque Orchestra, Mozart in Bath Mozartfest and La Seine Musicale, Paris, A Recital with Lawrence Zazzo in Festival de Beaune, Paris, Bach at St John’s Smith Square Christmas Festival, Purcell and Monteverdi recitals at Wigmore Hall, Ariodante fort he London Festival of Baroque Music, and a new recital programme with la Nuova Musica and Iestyn Davies, ’Handel’s Orchestra’ at Halle Festspiel and Brighton International Festival.